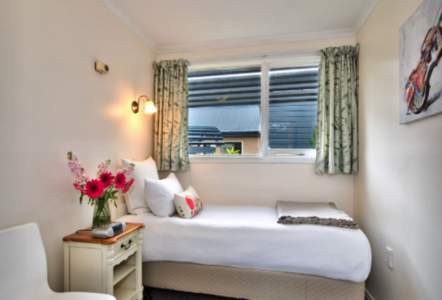 Single Private room with hand-basin, electric blanket, all linen supplied, radio alarm clock,Fan, Electric Blankets, Heater. FREE UNLIMITED WI-FI, Bathrobes, Shared Bathrooms Down the hall , Buffet Continental Breakfast included in tariff. 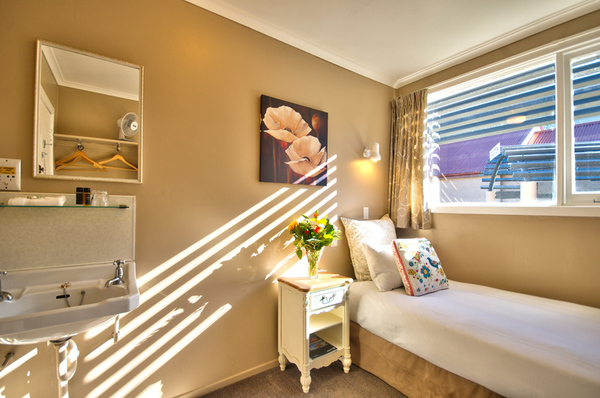 Communal Guest Lounge by reception has microwave, Toaster, DVD, Videos, Books, Board Games and Coffee & Tea making facilities.